AUSTRALIENS in The Zone Sci-Fan Film Festival! AUSTRALIENS in Dead in Decatur Film Festival! 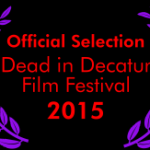 Australiens is going to the Dead in Decatur Film Festival in Decatur, Illinois, USA! If you’re in Illinois this June 12th/13th, be sure to check out that most Decaturian film, Australiens! Click the link for tickets and information. 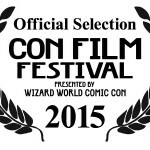 AUSTRALIENS (was) in CON Film Festival!